Front zip pockets. Full zip with stand-up collar. Club-specific back neck tape; Ribbed cuffs and hem. Real Madrid crest embroidered on left chest. Regular fit. 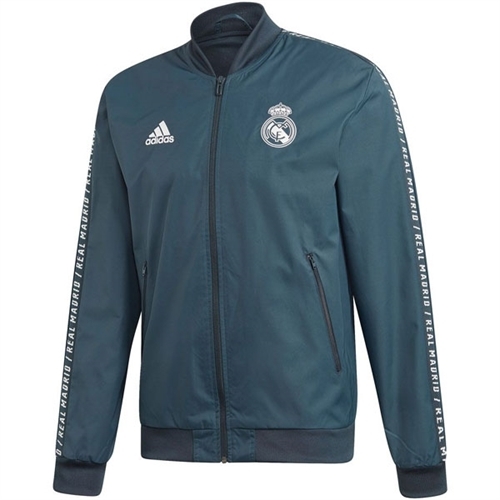 Our adidas Real Madrid Anthem jacket lets you show your love for los Blancos as they run down their opponents with this men's football jacket. It features Real's badge on the chest, Real Madrid name tape down the sleeves. 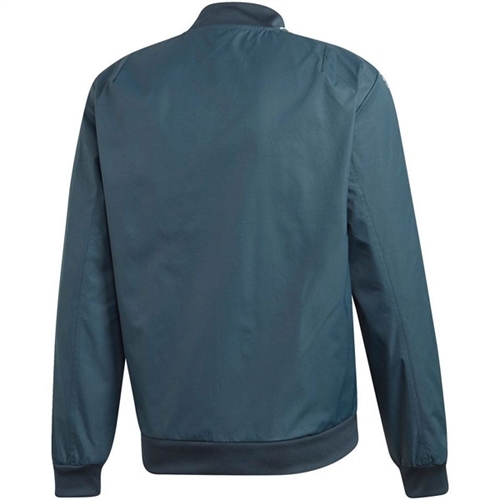 It's made of lined twill, with zip pockets.